America weathers a lot of rain. Some years see up to 58 feet. The rainy season for the Midwest folds right into hurricane season and then California takes over (think: El Nino). As there’s no real dry season that spans America, there’s no time off for flood remediation. With a $30 billion and growing debt, the National Flood Insurance Program (NFIP) isn’t equipped to handle the constant threat of flooding across the country. In fact, to prevent a lapse during the current hurricane season, it’s on its 7th short-term extension since last year. 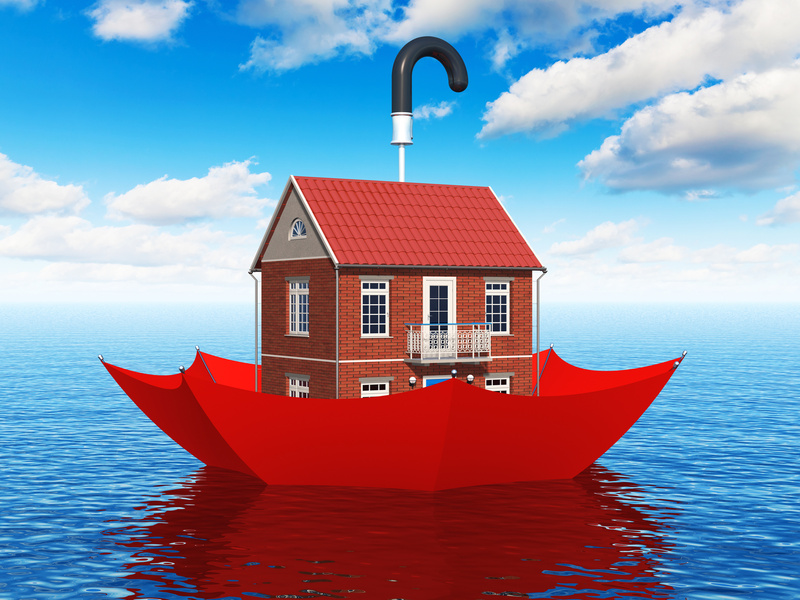 Did you even know that private flood insurance is an option? Did you know you can buy flood insurance regardless of where you live? Did you know that every property is in a potential flood zone? The government has had the market cornered for over 50 years, and there are things they’re not telling you. Here are 5 secrets the government is keeping. Weather patterns are becoming more severe, and the problem is twofold. Sea waters are getting warmer and feeding more storms. As these waters warm, they expand, taking up more space, dumping more water and sea levels continue to rise. Expanding sea waters aren’t alone in plumping up the ocean’s waters. Meltwater from glaciers is also contributing to the volume problem. Higher sea levels and harsher storms mean more flooding and damage done for coastal communities. With more water ever present, storm surges, king tides like those seen in Hurricane Katrina, Sandy, Harvey, and Irma, will continue to become more common. Not to be outdone by hurricanes, rapid downpours and flash floods cause billions of dollars of damage yearly. And yet, many people who should have flood insurance don’t have it. Of the 13 million people affected by Hurricane Harvey, less than 20% of homeowners had flood insurance. Those who have flood insurance may not fare much better, many of the homeowners insured by an NFIP did not have adequate coverage. Driven by high premiums, homeowners are increasing deductibles and dropping their coverage amount to match loans. Forgoing optional contents coverage to save money upfront leaves them further exposed to extreme financial liability in the event of flooding. The current national flood insurance system makes no sense. The floodplain maps are not kept up to date. They can be decades old, and they don’t take into account rising flood trends or how new buildings can change the flow of water on a property. More often then I care to know, areas that should be high-risk are zoned out due to political pressures. That way builders can sell homes under the illusion of safety without requiring new home buyers to purchase flood insurance, which can be a detriment to sales. When looking to buy a property, useful information, like flood history, is kept scarce. There’s no mandate for FEMA to publicize property-level flood data. You could buy a home that has had many floods and only find out afterwards that it’s listed on FEMA’s Severe Repetitive Loss Report (not a good thing). Then begins a long fight with government bureaucracy simply to get the information needed to get your property off this list. The most mind-boggling aspect of NFIP coverage is that properties are not assessed on an individual basis. Instead, the risk flood zone map is treated as a whole and assessed based on historical losses or guesswork as to how high the water will rise. Given the current swell of climate change, historical loss data might as well be ancient. Most of the beneficiaries of government flood insurance live in high-income counties. What’s worse, larger subsidies are awarded to these wealthier customers, 25% of which are insuring vacation homes with a high chance of flooding again. The cost of premiums is higher for a middle-class homeowner than an upper-class homeowner, sometimes by twice as much. The private flood market’s interest is in assessing the customer’s actual risk, using the latest technology and risk management tools so that the coverage that is provided is specific to that property. It is not confined to the NFIP’s blanket policies. The private flood market is ready to topple the government giant. For the last ten years, it has been growing steadily. In Washington D.C., the epicenter of the NFIP, over 65% of flood insurance is private. Florida is synonymous with flood insurance, so much so that the head of the NFIP considers the whole state a flood zone. Regulators in Florida were able to build the framework for standalone coverage, and the Sunshine State has now become the leader in the private flood market. There’s only room for more growth. Private flood insurance only has 11.56% of the total flood market as of September 2018. Private flood insurance coverage in Louisiana is at less than 5%. In Texas, it’s below 12%. Flood insurance rates are quite variable. Depending on your property’s level of risk, the private flood options you shop, whether or not you can get a government-subsidized policy, and many other factors, the cost can range from around $250 up to $10,000. And unless you have had a lot of time to research and find the right policy for your property, it might be best to enlist an expert to help with the process. In 2017, the Milliman Firm released a case study of Florida, Louisiana and Texas addressing the question, “Could private flood insurance be cheaper than the NFIP?” They found that the majority of homeowners would have cheaper premiums through the private flood insurance market. As many as 92% of Texans with the government policy could save big with a private flood insurance policy. We’re not talking chump change either. Floridians could pay private flood insurance premiums for one fifth the cost of premiums with the NFIP. A flood insurance expert can get you those lower premiums. A Flood Nerd will secure the best value for your money by shopping around. Finding transparent information on insurance policies as a consumer is hard enough. Comparing brands without good information isn’t even worth it. If you were an early adopter of private market flood insurance, your policy might no longer be competitive with the growing number of private flood insurance companies entering the market. An expert can help find a better rate. Government insurance coverage is spotty at best. Underpayments are common, and many flood-related damages aren’t included, mudslide damage among them. The NFIP only covers up to $250,000 for structures and $100,000 for personal possessions. The payout for structural repairs doesn’t necessarily include the cost of having them done. There is very minimal coverage for anything subgrade. It may only cover the cost of materials. Government flood insurance also doesn’t cover room and board. You better get ready to couch surf for a while or put up the money for an extended hotel stay. Most private flood insurance policies include “loss of use” to cover your expenses should you be displaced. The private flood insurance market can offer higher coverage limits and better care because they care more. They’re easier to contact and work with than the typical government run-around. Historically, private flood insurers provided flood insurance. As those insurance companies from the 1800s began to close down in the 1920s, the government responded by providing flood disaster relief. President Truman proposed a national insurance plan to ease the strain of disaster relief spending. The NFIP was established in 1968 after a study from the Secretary of Housing and Urban Development argued that the government could do the better job managing a public-private flood insurance program. This subsidized insurance program encouraged the rampant development of flood zones. There are now over 5 million policies nationwide. Meanwhile, the NFIP is hemorrhaging money. It lapsed as recently as January of this year. It’s a system that isn’t sustainable and may not be worth sustaining. The private flood insurance market could help get the flood insurance market back on track. Is Private Flood Insurance Part of Your Disaster Plan? If you live in a high-risk floodplain, it should be! Let us find the best private flood insurance coverage for you. We’ll shop all the options and find you something better.